Waterwash System. Waterjet nozzles create a fine spay that the fumes pass through prior to discharge from the fume cupboard. This is the simplest and most cost effective solution, but it is limited to what chemicals can be removed and by how much. Rear Mounted Fume Scrubber. A simple fume scrubber comprising a spray system over a scrubber pad complete with recirculation system and tank fitted beneath the fume cupboard. There is also a high level demister pad complete with backwash facility. This option has a better removal performance than the Waterwash System. Independent Fume Scrubber. We can design and manufacture a wide range of fume scrubbers to suit your process requirements. 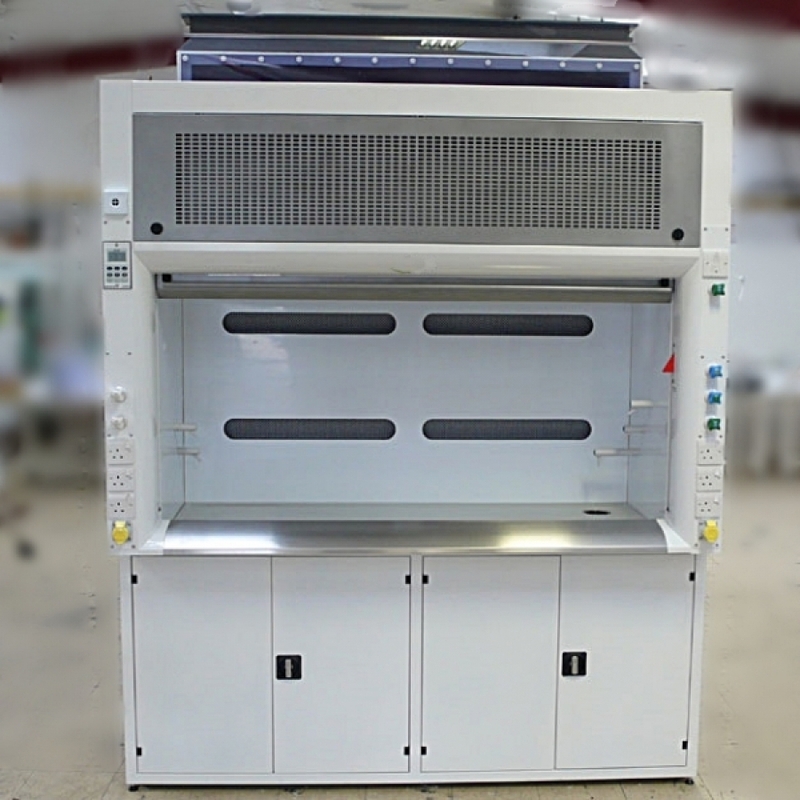 The most common type used with fume cupboards is a vertical packed bed design. The fumes are drawn upwards through a bed of plastic (normally polypropylene) parts that provide a very large surface area where neutralisation of the contaminants takes place. The scrubbing liquor is sprayed from the top and perculates down through the packed bed. The Independent Fume Scrubber is normally supplied with an automatic dosing system. Careful attention is paid to the design of the liquor distribution system, choice of packing, gas velocities and liquor flow rates in order to achieve optimum performance.